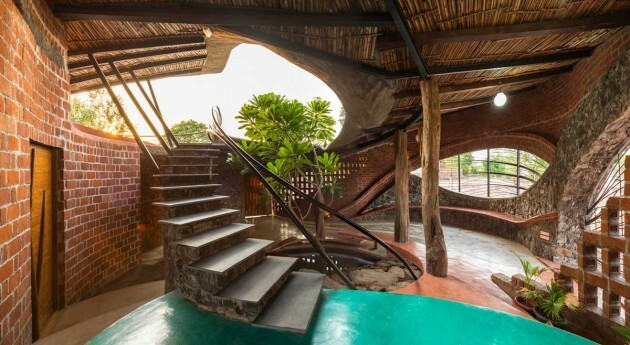 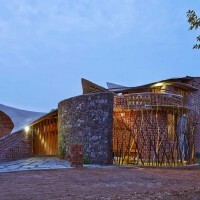 iSTUDIO Architecture have designed the Brick House, a farmhouse located in the rural settlements near Mumbai, India. 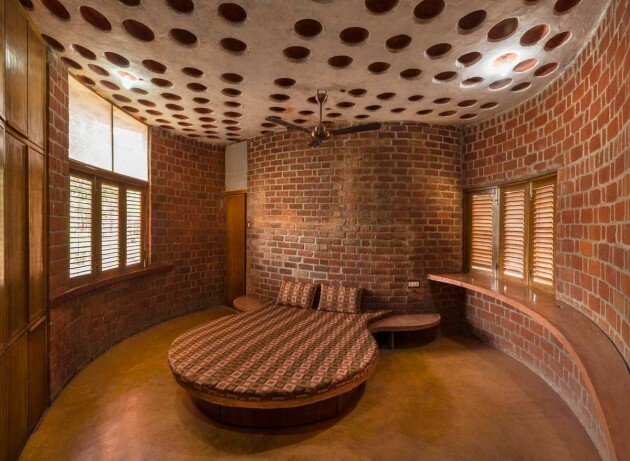 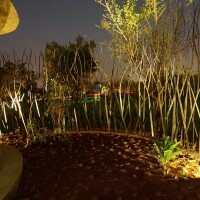 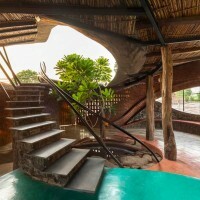 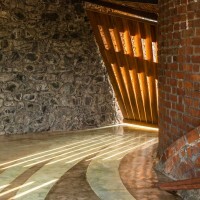 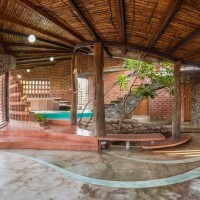 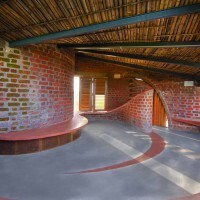 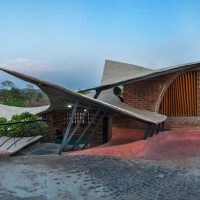 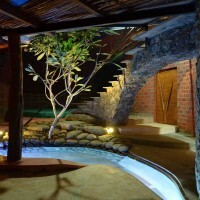 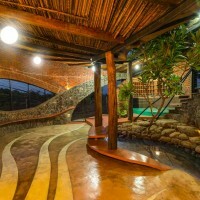 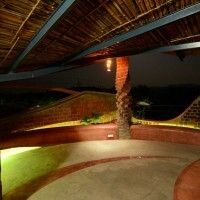 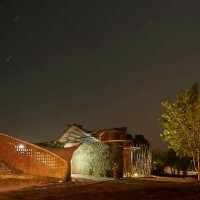 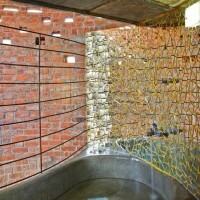 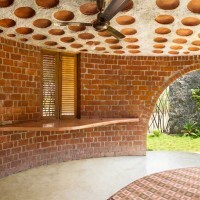 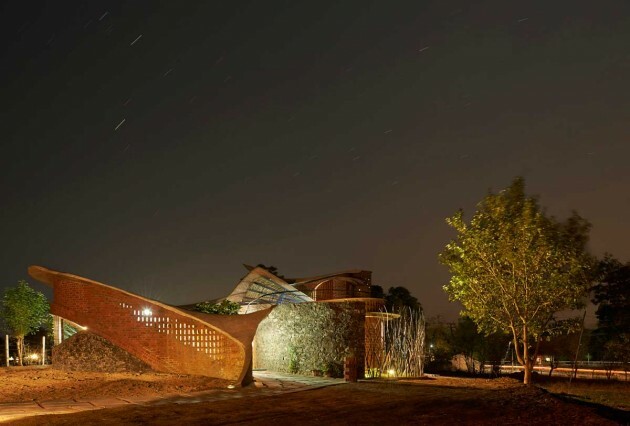 The Brick House, situated amidst rural settlements in Wada, near Mumbai,India, is a 2500 sq.ft. 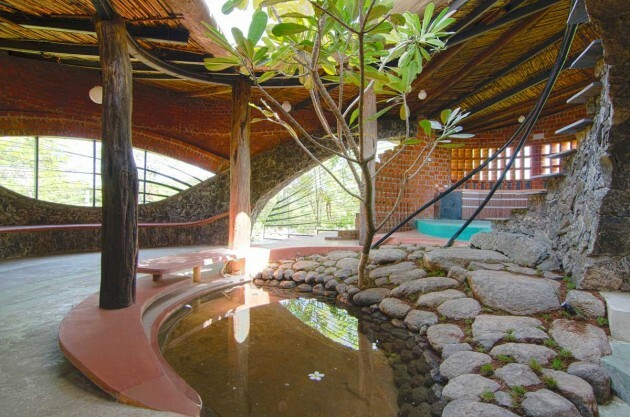 farmhouse set within hills and farms. 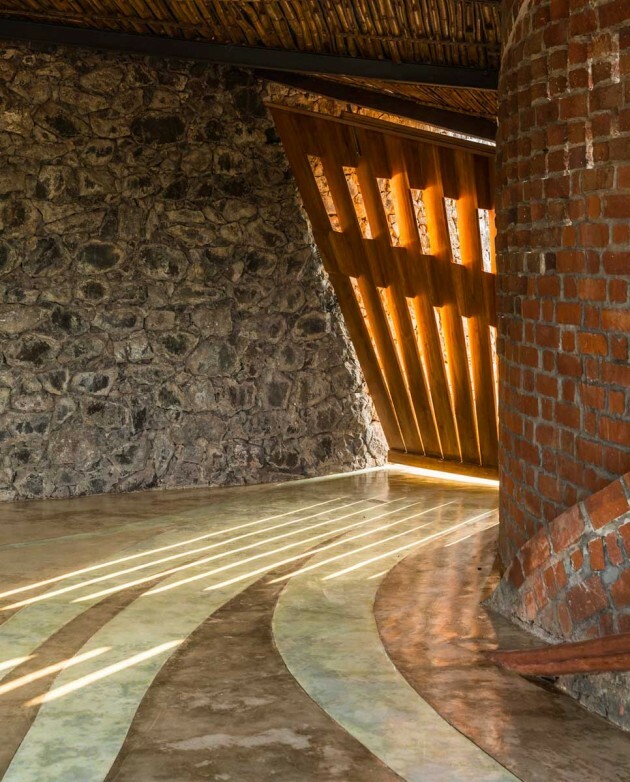 The impact of the architecture of the structure is strong, leading the viewer to a new observation, not allowing him to be complacent about the space which he occupies. 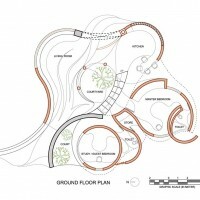 The organic form emerges from the ground and flows into the skyline, following curved dips and peaks. 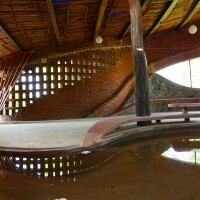 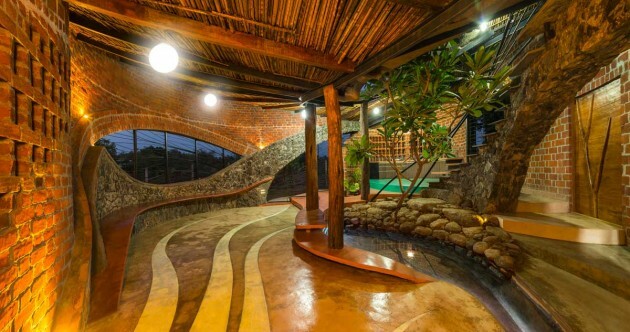 As one enters into the structure, one is greeted by the soft sunlight falling to the central body of water and the coolness within the structure. 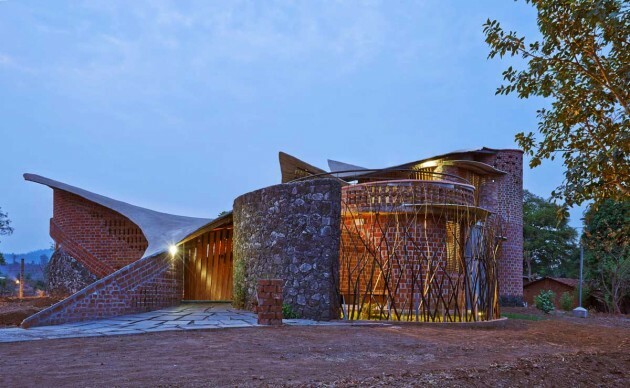 The interior space is dominated by the two huge arches of brick and stone, opening to vistas of farms and hills. 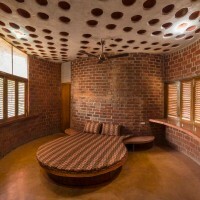 The furniture seems to rise and fall from the walls or floor dramatically leading one’s eyes to play of materials against each other. 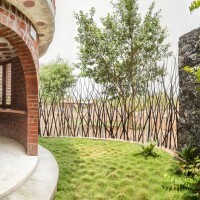 Zoning of activities responding to the climatic conditions and views was acheived with the use of levels leading to a single yet distinct living room, kitchen and dining. 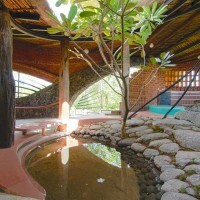 South-west position of first floor bedroom provides shade to courtyard and keeps water body cool. 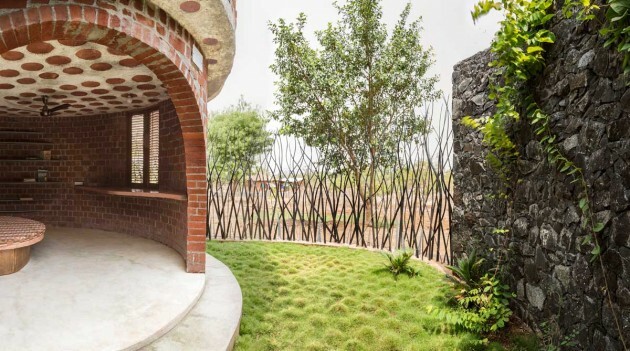 The positions and sizes of the openings are dictated by climatology, ensuring natural light, cross ventilation and passive cooling. 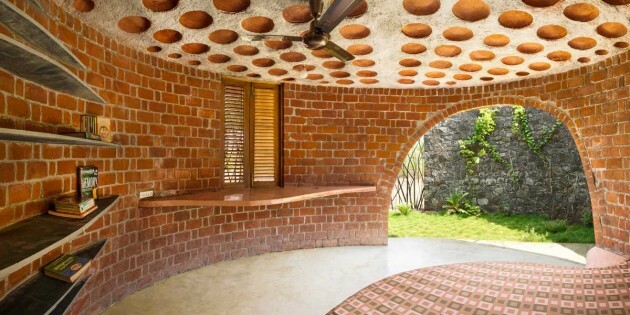 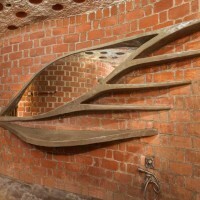 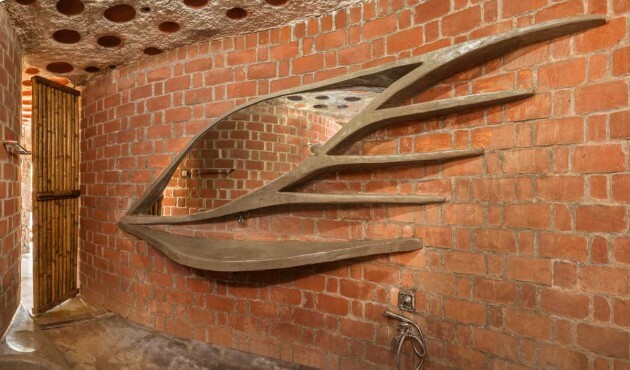 Taking inspiration from architect Laurie Baker, we used techniques like rat-trap bonds brickwork, filler slabs, brick jalis, brick arches, built-in furniture and use of local material. 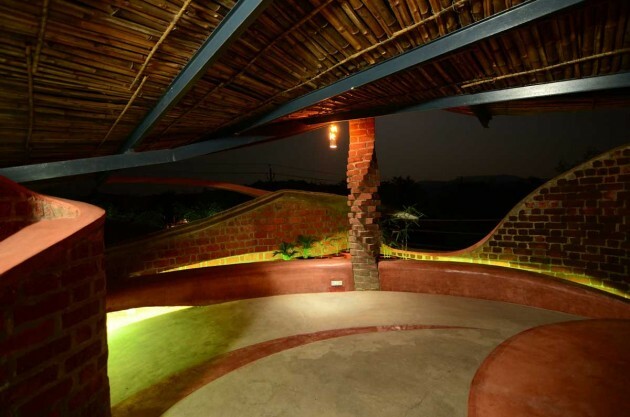 These proved low cost and eco-friendly technologies, allowing this 2500 sq ft structure to be constructed in INR 20 lacs due to reduced requirement of steel, cement & bricks.